Extract the .zip file, copy the .mse file to your "3ds Max\Plugins\" folder, and restart 3ds Max. There you can add the folder where you have copied the plugin .mse file. Remember to restart 3ds Max. You will find a new category "PolyTools3D" in the Creation Panel, under Geometry. There are 2 methods for creating the QuadSphere, Edge and Center. Edge: The QuadSphere is created in the center of the first and second mouse click, so what you actually define is its diameter rather than the radius. Center: The QuadSphere is created centered on the first click and you specify the radius with the second mouse click. 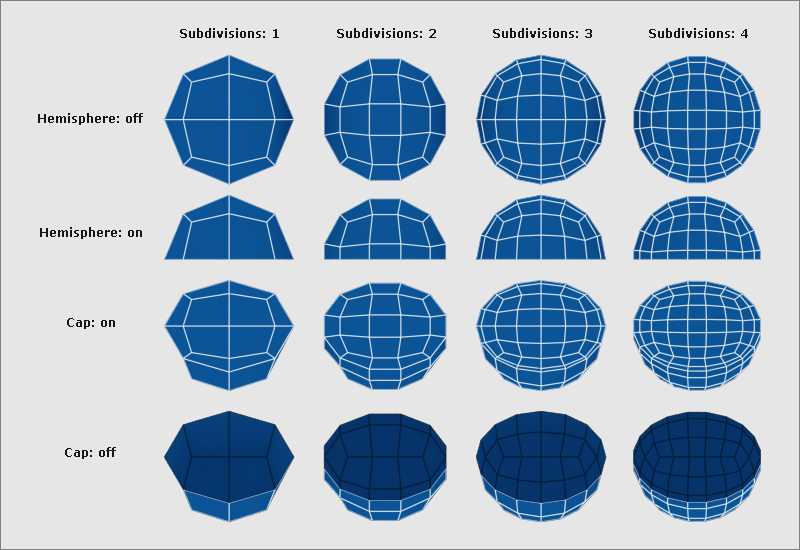 You can create and modify QuadSpheres from the 3ds Max Listener or from a Script. This will create a QuadSphere with a radius of 50 units, 8 subdivisions, hemisphere and cap on.